The sauce is slathered all over the ribs with a basting brush. It’s like painting (with sauce), only it really doesn’t matter at all if you get out of the lines. Basting brushes are a great tool to have in the kitchen when it comes to adding sauce to meat, but it is also good for brushing butter or other sauces onto dough and more. 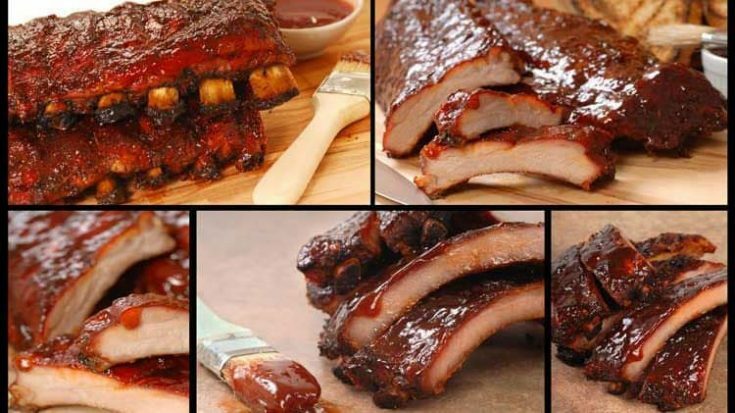 Now, you can buy Famous Dave’s BBQ Sauce to save some time if you’re going to be making these ribs later on, but if you don’t have time and have the ingredients on hand–get ready to make this recipe from scratch. Finish your meal off with an amazing side dish of Copycat KFC Coleslaw, Rosemary Bread, and Banana Cream Dessert. 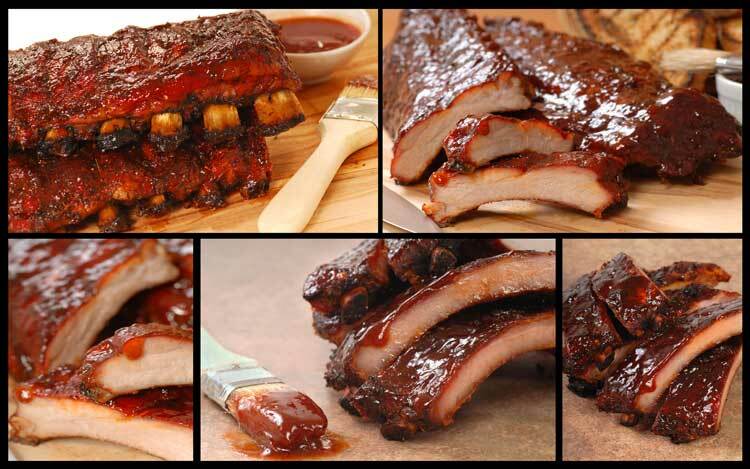 Who doesn’t like smoked, saucy, gooey, tender ribs? It seems so easy to go out to eat these delectable treats but the truth is you can make them at home and they might even taste slightly better. After all, you get to pick the cut of meat, you get to pick all the other ingredients and heck you can even adjust the recipe to suit yourself. Plus, the smell of these ribs smoking is not to be missed. Everyone will be amazed and impressed. You don’t have to tell them it’s a copycat, it’s our secret. Thoroughly mix brown sugar, Kosher salt, sugar, garlic seasoning, chili powder, lemon pepper, onion salt, celery salt, black pepper, celery seeds, cloves, cayenne, Mrs. Dash Original Blend and salt. Store mixture in airtight container. The day before you will be smoking the ribs, trim all excess fat from the ribs. Place ribs in a large Ziploc type plastic bag. Pour in the Italian dressing and turn bag over several times to coat all meat well after making sure bag is well sealed. Refrigerate for 4 hours, turning occasionally. Remove meat and wipe dressing off. Sprinkle each rib with pepper, 1/4 cup of the brown sugar and 1/2 cup of the onion flakes. After wrapping each rib in plastic, refrigerate overnight. The next morning remove ribs from wrap and wipe sludge off the meat. 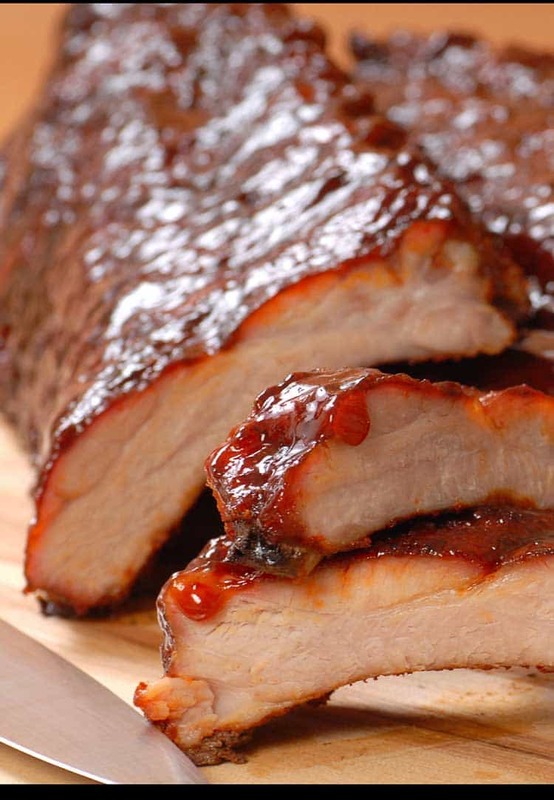 Generously coat both front and back of ribs with Rib Rub. Using your hands; rub seasoning into meat and set aside. Get 15 charcoal briquettes red hot; using a chimney charcoal starter. Place coals on one end of grill, placing 1 pound of green hickory or chunks around coals. Keep internal temperature of the grill at 200 degrees Fahrenheit to 225 degrees Fahrenheit. Place ribs with bone side down making sure they are not directly over hot coals. Every hour, add more charcoal and hickory chunks as needed. The smoking process will take 6 hours. Remove ribs from grill and wrap in aluminum foil after 3 hours. Hold in covered grill at 180 degrees Fahrenheit to 200 degrees Fahrenheit until fork tender, about 1 1/2 to 2 hours. Next, build a hot bed of coals over the entire bottom of grill. Watch closely because this next step goes quickly. Place the ribs back on grill to add charred flavor. As soon as the meat becomes bubbly, take it up off the grill. Make sure to burn off bone side membrane. In step 6 when adding more charcoal does it need to be pre-lit or can you just add “raw” charcoal?